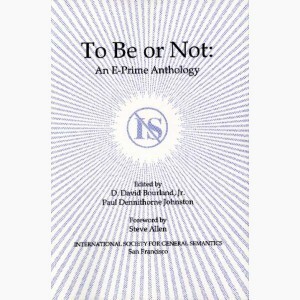 Written by E-prime founder D. David Bourland, Jr.
We have heard of the unfortunate effects produced by the infamous “Person from Porlock” on English literature. A similarly unknown “Person from Tolland (Connecticut)” produced a more beneficial effect on me when, in 1949, I held a Fellowship for study with Alfred Korzybski at the Institute of General Semantics in Lime Rock, Connecticut. This Person, whose name I can no longer retrieve, wrote to the Institute suggesting that, in view of the problems Korzybski had discussed in connection with the “is of Identity” and the “is of Predication,” perhaps we should just abandon all uses of the verb “to be.” While no one else at the Institute seemed particularly interested in this suggestion, it struck me as having considerable merit, provided one could really do it. The Institute staff at that time had perhaps reached its apex, consisting of Korzybski, M. Kendig, Charlotte Schuchardt (later Mrs. Allen Walker Read), Ralph Hamilton, Lynn Gates, myself, and David Levine. Guthrie Janssen had just finished editing Selections from Science and Sanity (20) and still lived in the immediate area. The letter from Tolland did not excite anyone else in this collection of critical thinkers, but it gnawed at me. The time fit me just right: I had a paper in preparation for the Third Congress on General Semantics. I decided to revise it once again to see if I could say, and indeed say better, what I wanted to convey without using any form of “to be.” In the process of this revision, I acquired an intermittent, but severe, headache which lasted for about a week. The final paper had a peculiar clarity, despite the fact that one “was” crept in. It eventually appeared as reference (2). In early 1969 the New York Society for General Semantics invited me to give a talk on E-Prime. This I did, trying to do so in E-Prime. By and large I succeeded (some people listened precisely for this — then and now they consist of a sharp, feisty bunch). Subsequently Kellogg (15) accomplished this and recommends it highly. His excellent ETC. paper contains many helpful suggestions. Interest in E-Prime reached a local maximum in 1969. Due to mention of this oddity in a footnote of a paper by Allen Walker Read, Time magazine sent an interviewer to me to discuss E-Prime. A friendly article appeared in the issue of May 23, 1969. Unfortunately, in the process of writing this friendly piece, they attributed to me two quotations of statements I never made: one incredibly awkward, and the other such a gross transgression of E-Prime that it actually made publication at the bottom of a piece in The New Yorker magazine. Let us turn now to what we can expect to happen to our writing and talking when we in fact do so in E-Prime. Depending on exactly how one defines “word,” most scholars regard the English language as embracing some one to two million “words,” or lexical items. (Note 1.) In E-Prime one simply does without 20 or so of these lexical items; specifically, the “to be” family: be, is, am, are, was, were, been, being; plus contractions — ‘m, ‘s, ‘re; plus various archaic and dialectual forms — e.g., war, wert, beest, amn’t, ain’t. 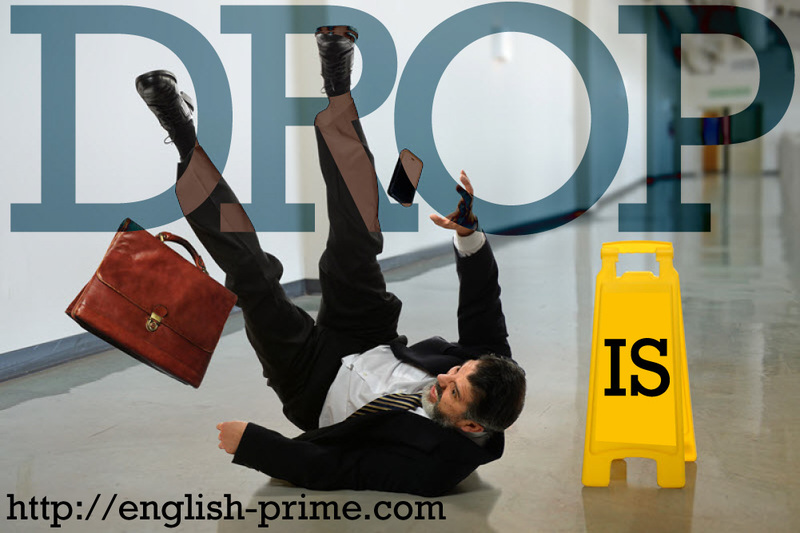 In marked contrast with the areas of the lexicon and syntax, E-Prime delivers major and unexpected consequences to English semantics. The E-Prime revision of English, although trivial in some respects, has deep underlying epistemological antecedents and consequences. Critical thinkers have struggled with the semantic consequences of the verb “to be” for hundreds of years. These distinguished persons include Thomas Hobbes (11), Augustus de Morgan (22), Bertrand Russell (24), Alfred North Whitehead (27) , George Santayana (25), and Alfred Korzybski (19). (3) John is a farmer. (4) John farms three acres. (5) John owns and operates a 2,000-acre farm. (6) John receives $20,000 a year from the government for not growing anything on his farm. (7) John, after living in the city all his life, has just bought a farm. (8) John grew up on a farm and has farmed there for 61 years. Despite the fact that (4) through (8) make extremely different statements about “John,” most English-speaking people feel comfortable making the jump from any one of (4) through (8) to (3). Critical thinkers trained in general semantics hold that (3) does not represent a valid higher order abstraction which could come from such observations as (4) through (8),but rather a possibly incorrect and certainly inadequate abbreviation of the larger picture. The little word is has its tragedies: it names and identifies different things with the greatest innocence; and yet no two are ever identical, and if therein lies the charm of wedding them and calling them one, therein too lies the danger. (9) The earth is flat. (10) The earth is round (spherical). (11) The earth is somewhat pear-shaped. The verb “to be” carries with it a huge intellectual momentum of completeness, finality, and time independence. Still, each of the statements (9) through (11) does describe the earth adequately for some restricted purposes. This dual condition of adequacy-inadequacy seems characteristic of the Predication usage of “to be” and provides both its charm and danger. Everything in the “real world” changes: sometimes so rapidly that we may not notice the changes directly (as in the case of a table which appears solid), sometimes so slowly that we can (as in the case of a river). Every person, as well as every “thing,” undergoes such changes. I have heard that I. A. Richards has allegedly distinguished between some 23 different usages of “to be.” but I have never seen the paper in question. Korzybski. Prior to the advent of E-Prime, Korzybski had more to say about the inherent dangers of the “to be” of Identity and Predication than any other critical thinker. And yet he himself fell into the “Is Trap” to the extent of using those two constructions in some 37% of his sentences in Science and Sanity. Bois. For a number of years the late J. Samuel Bois served as the chief lecturer for the Institute of General Semantics at their annual seminars. Many, including this writer, consider his book, The Art of Awareness (1), an excellent introduction to general semantics. And yet Bois used the “to be” of Identity and Predication in about 42% of his sentences in that text. Those three linguistically sensitive critical thinkers seemingly could not avoid the undesirable uses of “to be,” while allowing themselves the luxury of the other uses. At least, so they wrote — and spoke. In this part of the paper I will present four of the major consequences of using E-Prime in written and spoken utterances. a. Vanishing Questions. One simply cannot ask a number of questions — some would say pseudo-questions — that have preoccupied many people. What is man? What is woman? Is it art? What is my destiny? Who am I? Such questions, by virtue of their semantic structure, set the stage for identifications and confusions in orders of abstraction. They tend to lead to discourse in which the likelihood of useful information generation or exchange declines precipitously. One might better ask questions on a lower order of abstraction such as these: What characterizes man or woman uniquely? In what way can I relate to this art form, if any) What can I do now to improve my future possibilities? May I have another drink? d. Return of the Role Players. As mentioned above, E-Prime makes use of the passive voice somewhat difficult. One may have to resort to constructions with the somewhat scruffy auxiliary verb “to get” as in “The work got done.” Rather than a drawback, this consists of one of the greatest contributions of E-Prime. This facet of E-Prime forces users to bring the role players into explicit prominence or to indicate their ignorance of them. For example, many writers of technical and scientific papers forget that objectivity resides in the persons conducting the various experiments, etc., rather than in the passive forms used in reporting the results. I know of two instances in which scientists applied E-Prime to their complete report because this technique actually forced them to make explicit some important early details. One instance involved the failure of a sensor on a satellite, and the other concerned the fact that contractor personnel did not switch on a certain antenna. In both instances early versions of the reports in question said something like, “The data were not available.” Subsequent digging for the role players brought useful information to light. In the years immediately following World War I, Alfred Korzybski observed the stark differences between the consequences of engineering and scientific activity and the fruits of political activity. He pointed out that, when engineers build a bridge it normally functions as designed. But when politicians “build” a treaty or government, it usually collapses amid great human suffering. Korzybski’s analysis led him to conclude that the fundamental factor responsible for that discrepancy in performance consists of the structure of the languages used by those who design bridges and those who design governments. The engineers and scientists use a language (mathematics) which has a structure similar to that of the bridges, hence the language produces predictability. However, the politicians normally employ a language of archaic structure that uses static terminology in describing dynamic human socioeconomic issues. As Korzybski pointed out, to the extent that a treaty, constitution, etc., incorporates this kind of static-dynamic discrepancy, one may expect undesirable and unstable consequences. To put this somewhat differently, Korzybski asserted in his books that dynamic social institutions, if based upon static premises, must ultimately collapse. And if we inquire into this matter semantically, we find that the use of the verb “to be” constitutes the main source of static premises and assertions in ordinary English. a. The Constitution of the United States of America. d. Robert Welch’s The Blue Book. Notes: a. Exclusive of amendments. b. Complete document, not a sample. Table I shows the results of the analysis of sentences in the documents noted above. Some distortion in the results may exist, due to the fact that the documents by Machiavelli and Aristotle exist as English translations. However, the original languages in both cases belong to the Indo-European family, so the distortion probably does not amount to too much. Marx and Engels allegedly wrote the “Communist Manifesto” in several “original” languages, including English. Engels supposedly edited the English version which I analyzed. In my assessment, the results given in Table 1, ranked in accordance with the increasing appearance of the uses of Identity and Predication, also correlate precisely with the great flexibility and power of our Constitution to the sterility of Mr. Welch’s nightmare, and the rigid dogmatism of Aristotle. I submit that these results give quantitative substantiation for Korzybski’s thesis. Apart from any doctrinaire considerations, E-Prime can assist the user in attaining a kind of vigorous clarity that many have found worthwhile. Of course I know of only some of the people who have found E-Prime useful in their writing and speaking. However, E-Prime has found application in: one doctoral dissertation in physics (by Dr. D. A. Schwartz in 1968) (26), one licenciatura thesis in Linguistics (mine in 1973) (5), a master’s thesis in Biblical studies (by Byron L. Cannon in 1987) (7 ), a multi-volume research report by the U.S. Naval Air Systems Center (Project IMP in 1971), and a variety of papers published by myself, E. W. Kellogg, III, Elaine C. Johnson and Paul Dennithorne Johnston in the General Semantics Bulletin and Et cetera. Of course, it pleased me greatly to learn that the noted psychotherapist, Dr. Albert Ellis, thought enough of the benefits of E-Prime that he re-wrote two of his books in this manner (A New Guide to Rational Living, with Robert A. Harper in 1975, and Anger: How to Live With and Without It in 1977). (9, 10) Scientific papers by Kellogg which show “E-Prime in action” have appeared in Nature (17), The Journal of Bioelectricity (14), and The Journal of Gerontology(16). Further applications have appeared in various places due to the efforts of C. A. Hilgartner, M. D., K. L. Ruskin, M. D., Charles Morgan, and T. J. Hefferon. The diversity of applications described above testifies to the generality and utility of E-Prime. 1. Bois. J. Samuel. The Art of Awareness. Dubuque: Wm. C. Brown Co. 1966. 2. Bourland, D. David, Jr. “Introduction to a Structural Calculus: A Postulational Statement of Alfred Korzybski’s non-Aristotelian Linguistic System,” General Semantics Bulletin Nos. 8 & 9. 1952. 3. Bourland, D. David, Jr. “A Linguistic Note: Writing in E-Prime,” General Semantics Bulletin Nos. 32 & 33. 1965. 4. Bourland, D. David, Jr. “The Semantics of a non-Aristotelian Language,” General Semantics Bulletin, No. 35. 1968. 5. Bourland, D. David, Jr. A non-Aristotelian Paradigm for Linguistics. Licenciatura thesis. San Jose, Costa Rica: Universidad de Costa Rica. 6. Bourland, D. David, Jr. “The Language of E-Prime,” in Coping with Increasing Complexity, Ed. by D. E. Washburn and D. R. Smith. New York: Gordon & Breach. 1974. 7. Cannon, Bryon L. An E-Prime Approach to the Holy Bible. MS thesis. Fort Hays, Kansas: Fort Hays State University. 1987. 8. Chomsky, Noam. Syntactic Structures. The Hague: Mouton & Co. 1957. 9. Ellis, Albert. Anger: How to Live With and Without It. Secaucus, NJ. : Citadel Press. 1977. 10. Ellis, Albert., and Robert A. Harper. A New Guide to Rational Living. North Hollywood: Wilshire Book Co. 1975. 11. Hobbes, Thomas. Leviathan. 1651. (New York: Liberal Arts Press edition 1958). 12. Jesperson, Otto. Essentials of English Grammar. London: Allen & Unwin. 1933. 13. Johnson, Elaine C. “Discovering E-Prime,” Et cetera: A Review of General Semantics, Vol. 45, No. 2. 1988. 14. Kellogg, E. W., III. “Air Ions: Their Possible Biological Significance and Effects,” J. Bioelectricity, Vol. 3, p. 119-136. 1984. 15. Kellogg, E. W., III. “Speaking in E-Prime, “Et cetera: A Review of General Semantics, Vol. 44, No. 2, 1987. 16. Kellogg, E. W., III., and M. C. Yost. “The Effects of Long-Term Air Ion and D. C. Electric Field Exposures on Survival Characteristics in Female NAMRU Mice,” J. Gerontology, Vol. 41, p. 147-153. 1986. 17. Kellogg, E. W., III., M. C. Yost, and A. P. Kruger. “Superoxide Involvement in the Bactericidal Effects of Negative Air Ions on Staphlococcus albus,” Nature, Vol. 28 1, p. 400-401. 1986. 18. Korzybski, Alfred. Manhood of humanity. New York: E. P. Dutton. 1921. Second edition, 1950, Distributed by the Institute of General Semantics. 19. Korzybski, Alfred. Science and Sanity. Lakeville, CT: International Non-Aristotelian Publishing Co. 1933. Fourth edition 1958. 20. Korzybski, Alfred. Selections from Science and Sanity. Lakeville, CT: International Non-Aristotelian Publishing Co. 1948. Eighth Printing 1976. 21. Lee, Laura L. “The Relevance of General Semantics to the Development of Sentence Structure in Children’s Language,” in Communication: General Semantics Perspectives, Lee Thayer, ed. New York: Spartan. 1970. 22. de Morgan, Augustus. Formal Logic. 1847. London: Open Court (reprinted 1926). 23. Read, Allen Walker. Personal Communication. 1976. 24. Russell, Bertrand. Our Knowledge of the external World. Chicago: University of Chicago Press. 1914. 25. Santayana, George. Scepticism and Animal Faith. New York: Scribner. 26. Schwartz, Daniel A. The Spatial Distribution of the Diffuse Com ponent of Cosmic X-Rays. Doctoral dissertation. San Diego: University of California at San Diego. 1968. 27. Whitehead, Alfred North. The Principle of Relativity With Applications to Physical Science. Cambridge, England: Cambridge University Press. 1922. 1. This conventional position ignores the names of the integers after some arbitrary cut-off point. Other-wise, we would have to say trivially that most modern languages contain at least a denumerably infinite number of words. 2. The comparatively minor syntactic consequences of E-Prime reflect the same linguistic functions operating that account for the fact that some natural languages lack a verb that corresponds exactly to “to be,” including Russian, Hungarian, and Mandarin at least. It seems interesting to note that the speakers of those languages alone account for about 20% of the world’s population. where NP represents noun phrase, and VP represents verb phrase. In pre-Bloomfieldian “traditional” grammars linguists called the NP of (N1) the “subject,” and the VP of (N1) the “predicate” (e.g., Jesperson (12, p. 97). The slight difference in terminology and the great difference in significance between the philosophical subject-predicate and the linguistic subject + predicate provided the raw material for problems. For more on this matter see reference (21, p. 121). A retired associate professor of Linguistics, D. David Bourland, Jr. has studied and written in the field of general semantics for many years. First published in ETC: A Review of General Semantics, Vol. 46, No. 3, Fall 1989. Copyright © 1989 by the International Society for General Semantics.